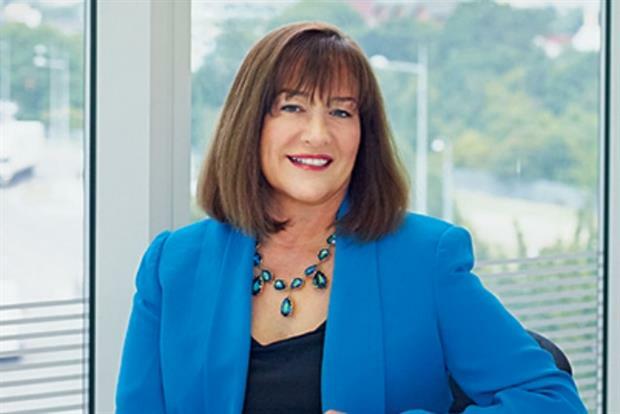 Diageo chief marketing officer Syl Saller has won the coveted Marketing Society Leader of the Year 2015 trophy at last night's (4 June) awards ceremony, with judges recognising her marketing acumen and inspiring and personal approach to leadership. As drinks group Diageo’s global marketing boss, Saller was lauded for her ability to balance a global view of a massive business boasting more than 400 brands with a focus on individual members of staff. The Marketing Society Marketing Leader of the Year 2015, in association with Marketing, was unveiled at a ceremony held at Artillery Garden, HAC, London EC1, with Saller gaining the most votes from her industry peers. Saller and Diageo faced a tough marketplace in 2014, but even so managed to drive growth, with highlights including the launch of Haig Club, a premium single-grain whisky brand developed in conjunction with David Beckham. Saller is clearly a believer in, and exponent of, the notion of humility in the workplace, having said that leadership is about "being ego-free and deeply understanding that although it’s about your leadership, it’s not about you". She beat competition from fellow nominees Matt Barwell, CMO of Britvic; Sara Bennison, customer marketing director, personal and corporate banking, Barclays; Nina Bibby, marketing and consumer director, O2 and Telefónica UK; Hilary Cross, director, marketing and communications, Macmillan Cancer Support, Rebecca Snell, head of marketing, Lego UK; Martin Stead, sales, marketing and digital director, EDF Energy; and Andrew Warner, vice-president, marketing, Monster and former senior marketing director, EMEA, Expedia. Andrew Warner, vice-president, marketing, Monster was awarded as highly commended.